From our prestige Art Deco style lamps and lighting collection. 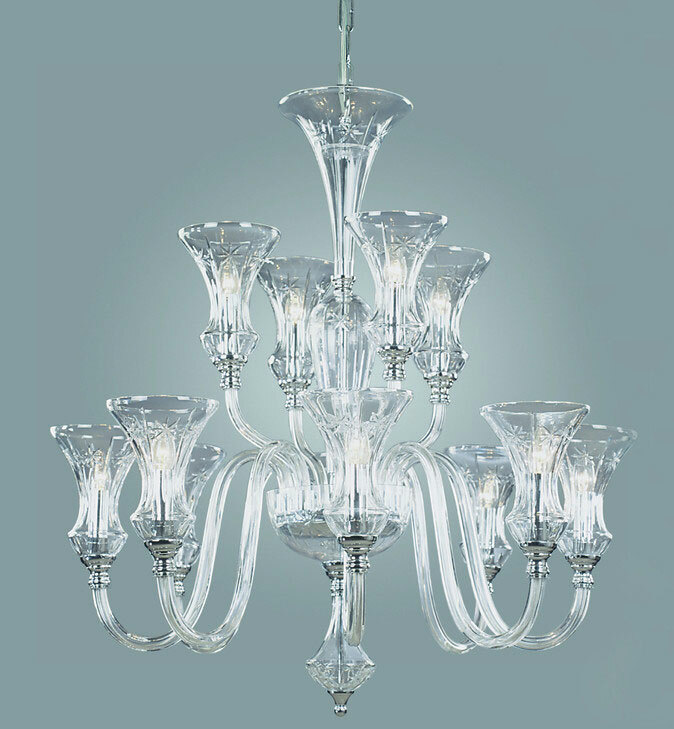 A truly magnificent highest quality twelve light all lead crystal chandelier, with two tiers of eight and four lights. Suspended from a chrome ceiling mount and chain, this wonderful chandelier is bound to be a talking point wherever it is installed. With a decorated fluted crystal feature stem and detailed lower finial. 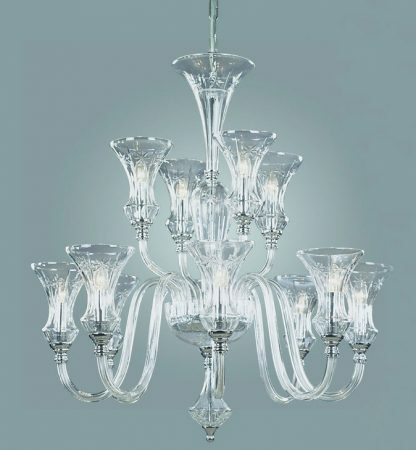 The bottom tier has eight double curved crystal arms, each finished with a fluted decorated crystal shade containing the lamp and candle tube. The top tier has four arms that arch gracefully upwards and are also finished with a fluted crystal shade. This chandelier is a work of art that will enhance any large space with sufficient ceiling height. A large chandelier, with a diameter of 90cm and a body height of 110cm without the chain. Weight 26Kg.